Corby Lighting Halogen Mini Globe Dimmable Lamp 42W E14/SES 630lm is rated 4.2 out of 5 by 5. Rated 3 out of 5 by Miffyl from Didn't last anywhere near 2000 hours These are quoted as lasting 2000 hours. I bought mine about 10 months ago - the bulb would need to be lit for almost 7 hours a day, every single day since I bought them before I reached the life cycle quoted. I doubt they've lasted 1000 hours. They are under a quid each though so hey ho. Rated 3 out of 5 by RichardM from Just need to wait and see! I tend to find these type of products do have similar 'life span' problems, on whether the item will last or not. I cannot really fully rate this product, until I see what the possible long terms results are going to be, so at present, 'average' will need to do!. 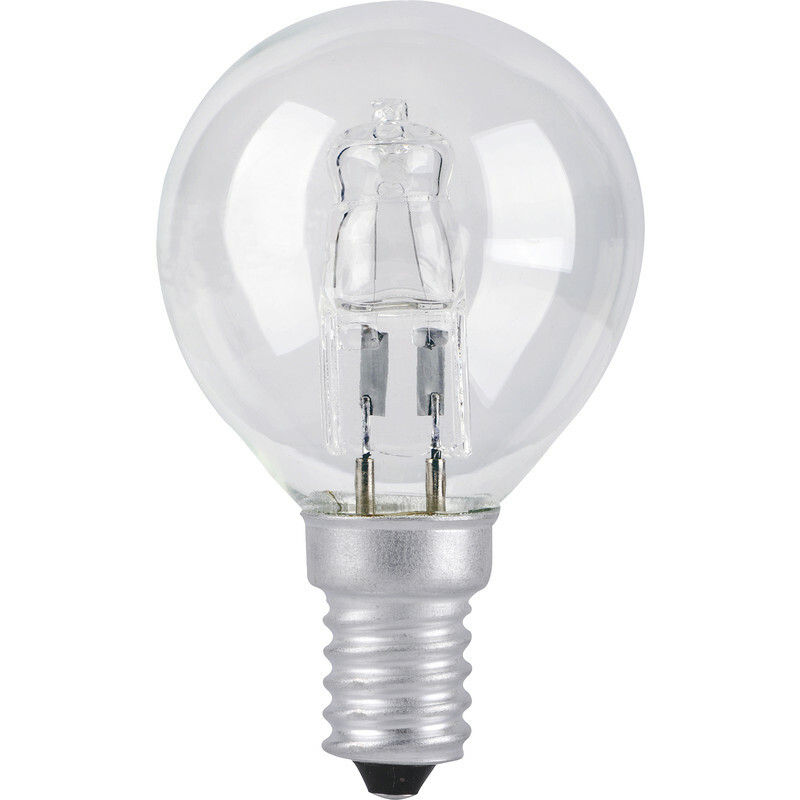 Rated 5 out of 5 by Sco tt from Its a bulb! What can I say? it still works after a week! Rated 5 out of 5 by Ron L from Great Bought these to replace dimmable filament lamps, which are no longer available. They work a treat, and this 28 watt unit replaces a 40 watt filament unit.